Welcome to the first installment of a monthly series we’ll share. This is a bit of a recap post. We spend a lot of time reading and watching videos to stay up on the latest news and trends. And maybe, just because there’s some fun in it for us! We call this series, the “Best of the Disney World Internet”. Each month, as part of this post we’ll give you what we see as the top blog posts, YouTube videos, message board discussions, etc. that we thought were fun, informative or helpful – or all of the above!! We’ll also give you our take on what is reviewed, discussed or otherwise mentioned in the article, video, discussion that is covered. Before you ask, no it isn’t possible for us to read every Disney blog out there. We’ve tried…. or at least Carla has. If you think there is relevant content out there, feel free to email us. We’ll look at it for possible inclusion in the list. And just because a site doesn’t show up one month, doesn’t mean it won’t somewhere down the road. Disney Food Blog – 2018 Epcot Food and Wine Festival BEST of the FEST! As always, Disney Food Blog posts many videos in a month. This one from September 1st is extremely helpful and informative for anyone going to the Epcot Food and Wine Festival. Mike and I have been reading as many reviews as we can get our hands on! Normally I take a lot of reviews with a grain of salt because everyone has different tastes and experiences, but any help we can get to narrow down the choices at the Festival I believe will prove to be helpful! We will have a lot more to say after we experience the Food and Wine Festival ourselves, but based on the menu offerings, we are both looking forward to trying many of the items offered. I was disappointed at how few gluten free offerings there. Apparently it decreased significantly from prior years. I am most excited to try the Liquid Nitro Chocolate Almond Truffle with Warm Whiskey-Caramel at The Chocolate Studio and the Spice Crusted Verlasso Salmon at Active Eats. If it has beef in the title, Mike wants to try it. He’ll probably throw in the Lamb Chop, Canadian Cheddar Cheese Soup and Bailey’s Milkshake. The Tim Tracker – Mickey’s Not So Scary Halloween Party at Disney World! The Tim Tracker posted so many good vlogs this month!! This video is one of their two experiences at Mickey’s Not So Scary Halloween Party! It is a great way to see this year’s offerings to either plan your party experience. If you aren’t sure if it is something you might want to do in the future, it’s a good primer. Since this year will be our first time to attend, this video was helpful to us to help plan our strategy for the party and what to prioritize. We obviously will have a thorough review after we attend, but the parade, fireworks and character meet and greets are definitely top priority for us! The Tim Tracker – Victoria & Albert’s Disney Dining Review! There is one more Tim Tracker vlog I have to point out. Tim and Jenn vlogged their dinner at Victoria and Albert’s at the Grand Floridian Resort. This restaurant is a multiple year AAA Five Diamond Award recipient. It’s is on our bucket list to eat at the Chef’s Table someday! Tim and Jenn gave an honest and descriptive review of their meal and experience. This is also one of the few videos we’ve seen from inside the restaurant. Also something we have to yet to do first hand, but watching their experience definitely made me feel a little less intimidated since I have a better idea of what to expect. The food looked absolutely incredible, and given my dietary restrictions, the mere idea of a such a customized gourmet meal with top quality ingredients makes my heart sing with joy. Watching this vlog makes me want to do this meal sooner rather than later! 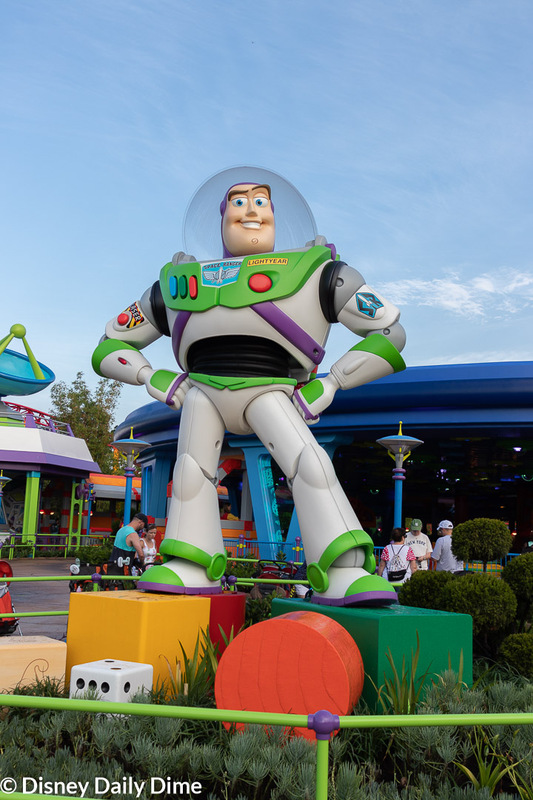 EasyWDW – Is Toy Story Land at Disney’s Hollywood Studios A Dud? Josh at EasyWDW posted this insightful and thought-provoking post on whether Toy Story Land is deemed a “success” or not. I personally think it is too early to make that call, however, I thoroughly enjoyed his analysis and it gave me food for thought. I am continually fascinated by crowd and popularity trends as it relates to both the desires of Disney World visitors. This post fit right into that area of interest. As I said above, I believe it is too soon to make the call. We thoroughly enjoyed our first time there and it actually exceeded my expectations, especially how it looked at dusk and into the evening. I was disappointed in Woody’s Lunch Box and the lack of shade, however, it is a well-executed and charming area that is a much needed addition to Hollywood Studios. Even if it isn’t on the epic, game-changing scale that Pandora is and Star Wars: Galaxy’s Edge will be, to me that doesn’t mean it isn’t successful. Disney Tourist Blog posted an informative summary for everything announced that is coming to the individual parks and resorts. It can be hard to keep up with all of the announcements Disney makes, so this is a great way to see what is coming ahead. This may help you make future plans, however, always remember that opening dates are subject to change. Todd at RetroWDW.com restores old Walt Disney World footage that he finds from home videos and other media (promotional videos, ads, etc.) and does an absolute amazing job at bring the past back to life. This video is from 1981, which was around the time that I made my first trip there with my parents. Full disclosure, I can’t get enough of viewing and reminiscing about the WDW of old. Anything of vintage Disney on this site, you can assume comes from me! No hot opinions here, just enjoyment of the past. 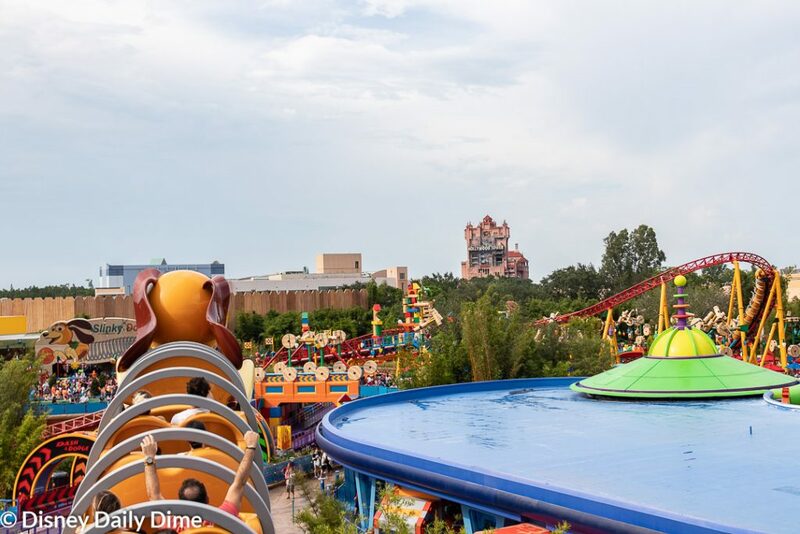 There you have it, our Best of the Disney World Internet for September 2018. We hope you enjoyed it and maybe even learned something. Like we said, if you think there was some must see content that we skipped, feel free to email us using the contact us page. We’ll take a look.